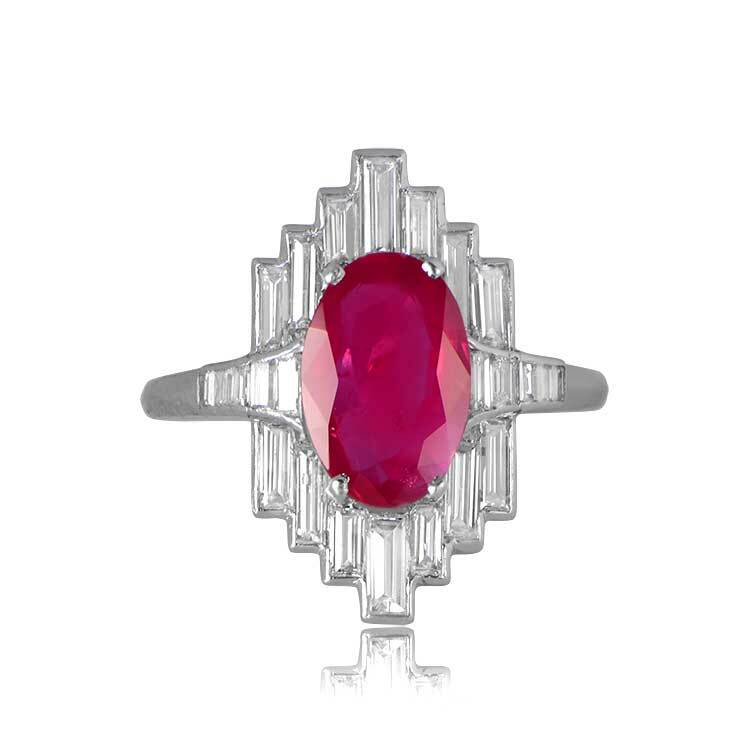 A rare and genuine Art Deco era ring that centers a Natural and unheated oval cut Burma ruby weighing 2.25 carats. 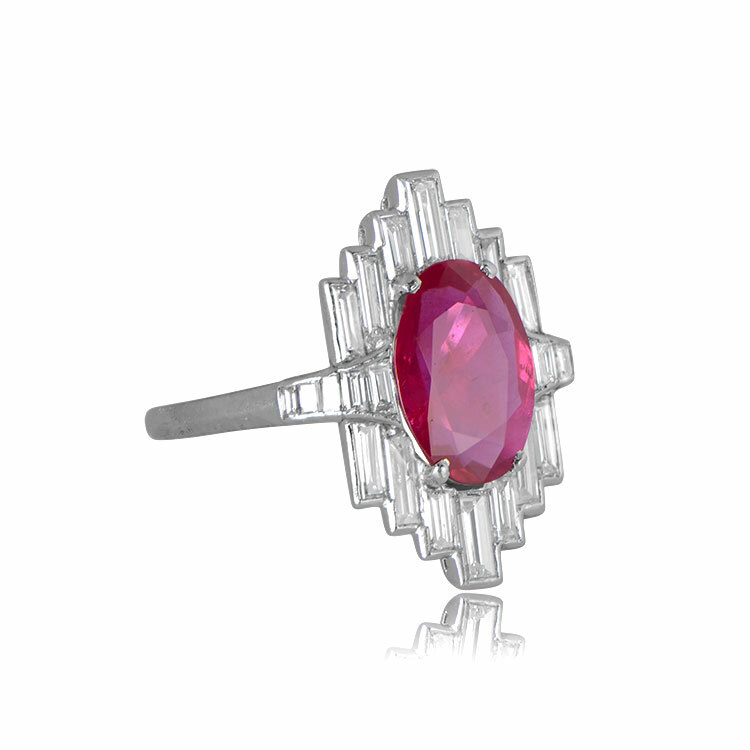 Surrounding the center gemstone is a graduating geometric design of baguette cut diamonds. 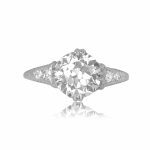 The total approximate of the additional diamonds is 0.95 carat. 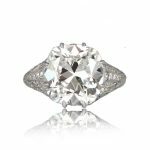 This ring is platinum, circa 1920. 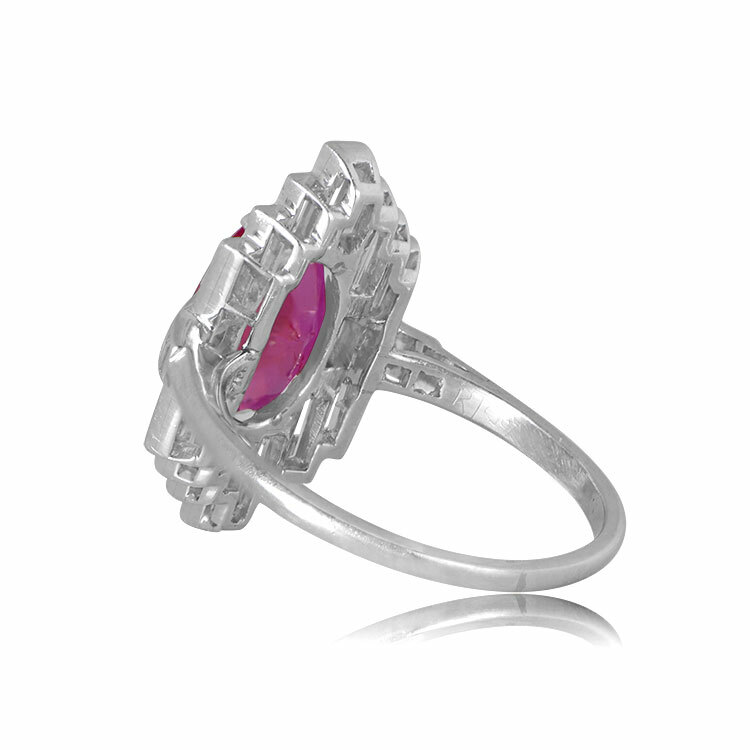 The current size of this ring is 7.5 and can be resized at no extra cost. 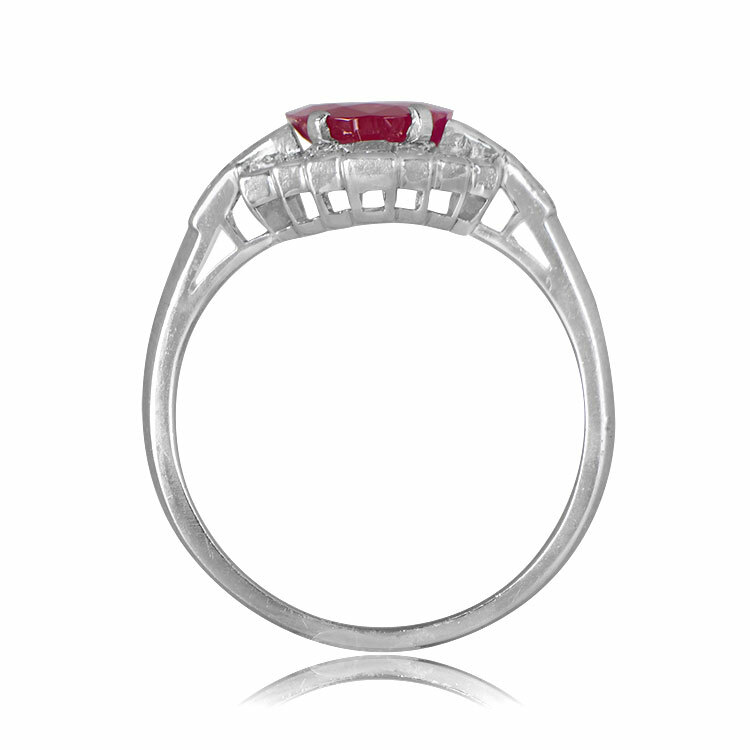 The center ruby is certified by Christian Dunaigre which is a Swiss laboratory. 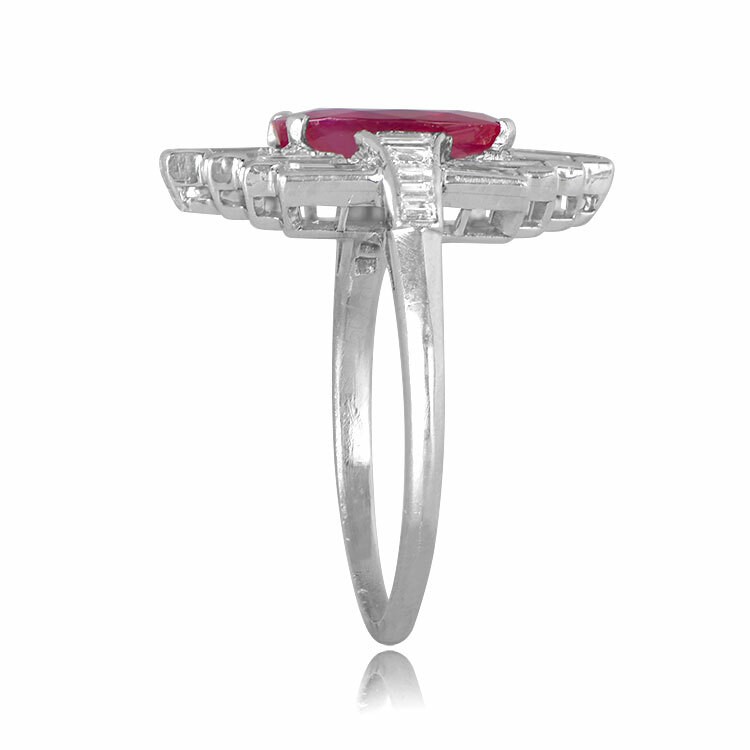 SKU: 11949 Categories: Ruby Engagement Rings, Vintage Engagement Rings Tag: Elongated Engagement Rings - Contact us and request additional pictures.